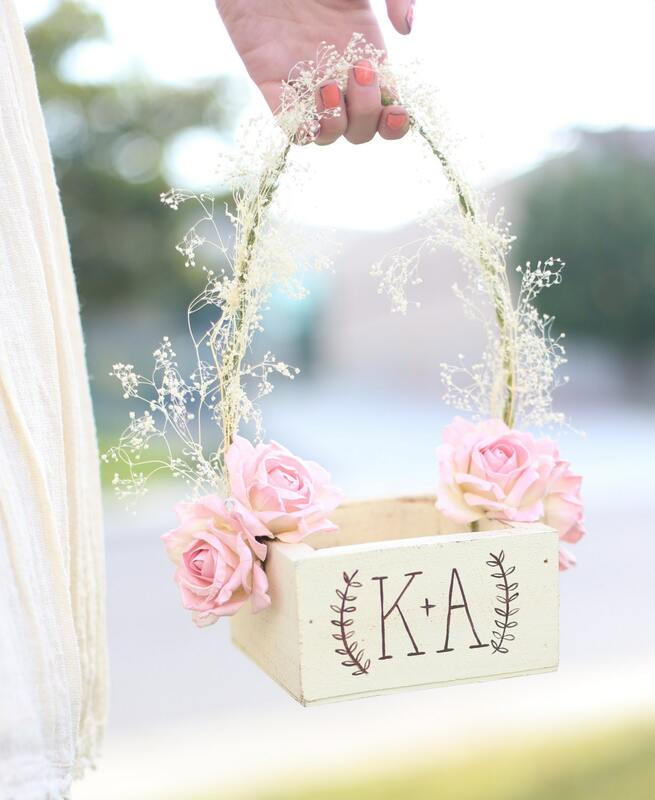 For sale is a beautiful, rustic chic flower girl basket. 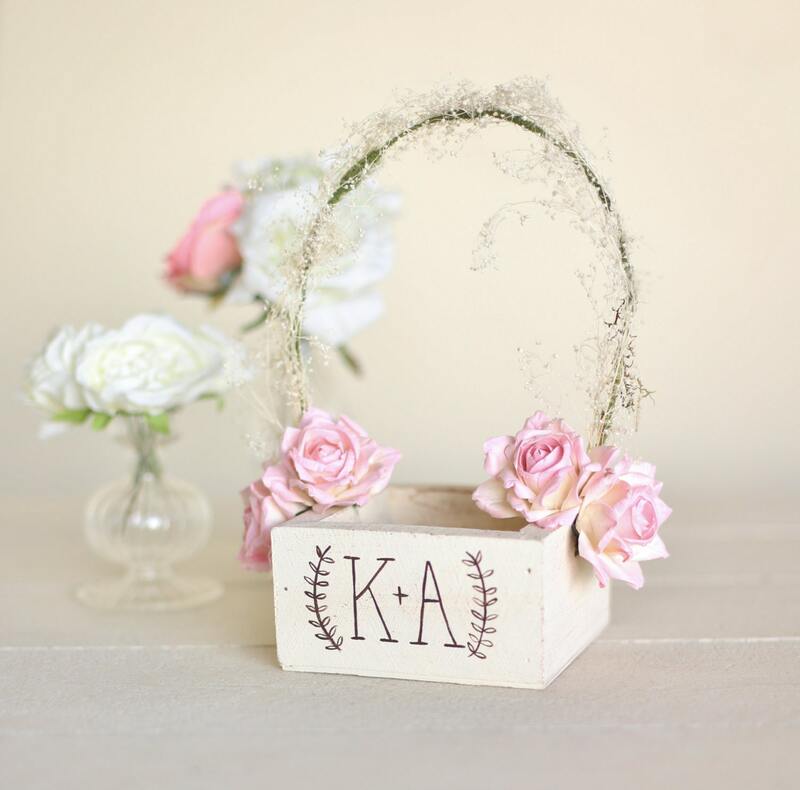 Custom made to order, this basket has amazing shabby chic charm and is personalized with any two initials you'd like inside a laurel wreath design. 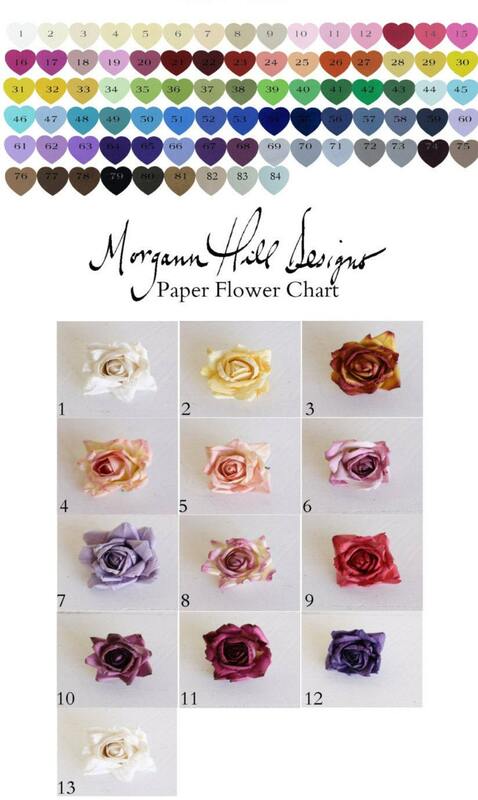 Customized to your specifics you can pick the color for your basket, the lettering, and the color for the paper roses! 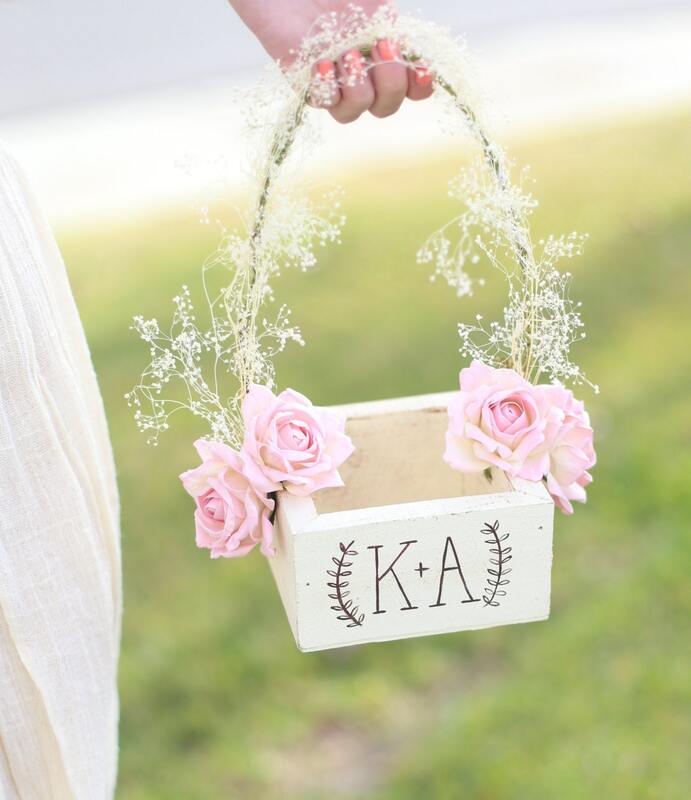 5" x 5" x 3.5" size does not include the handle!